Your thyroid is a small gland in your neck that produces hormones that regulate your metabolism and heart rate. Thyroid problems occur if your body is producing too many or too few of these essential hormones. Pedro Ortega, MD at Central Florida Primary Care, with offices in Winter Park and the MetroWest Community of Orlando, Florida, provides expert medical care to all adults and can assess thyroid health, and provide the appropriate treatment. Call today or schedule an appointment using the online booking button. The thyroid is a butterfly-shaped gland in your neck that’s responsible for making and secreting the hormones thyroxine and triiodothyronine. These hormones control how your body uses energy or the number of calories you burn and affect every organ in your body. Thyroid problems affect the production of these hormones, which often leads to a cascade of symptoms. Anyone can develop hypothyroidism, but it most often occurs in women, especially those over age 60. 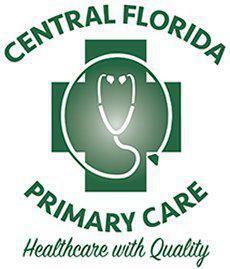 Central Florida Primary Care is a full-service medical practice and can diagnose hypothyroidism with a blood test conducted at the office. Dr. Ortega treats hypothyroidism with a synthetic thyroid hormone called levothyroxine. Once initiated, you’ll begin to notice an improvement in your symptoms within two weeks. Hypothyroidism is a chronic condition, so you’ll need to take the medication for the rest of your life. Dr. Ortega closely monitors your thyroid levels and adjusts your medication as needed. A number of conditions can increase production of thyroid hormones, including Graves’ disease, thyroiditis, and Plummer’s disease. Dr. Ortega can determine if your symptoms are related to hyperthyroidism after a thorough examination and blood test. If your blood test indicates elevated hormone levels, Dr. Ortega will recommend additional testing, which can include a thyroid ultrasound or scan, or radioiodine uptake test, to determine the cause. If the medication fails to improve your hormone levels, a thyroidectomy – surgical removal of your thyroid – might be considered, although, this is very rarely recommended. For management of your thyroid problems, call Central Florida Primary Care, or schedule an appointment using the online booking button.